“We must try . . . to remain calm”. But we cannot stay silent while this cultural heritage is destroyed, can we? I think we must try, even if it is a loss to the world, even if it is a loss to Syria – to remain calm and not let ourselves be so affected. That’s exactly what they want. The more we cry out, all the more that they have won. It is a perverse strategy. But it works and will continue to for a while. Thank God, the Syrian antiquities office evacuated many precious statues from the local museum. But there are still objects that have been destroyed according to IS-propaganda. What happens to the ruins of the city, we don’t know. According to the local IS commander they want to spare them. But the IS will let us know. What IS does not show is in its propaganda videos is that the objects that sell well can be passed on to the art trade. It can make good money. Therefore it is indeed looted. Unfortunately we know this madness has logic. During the illicit excavations, oriental antiques are specifically removed and sold. This is profitable for the war chest and big business. Meanwhile, hopefully it’s arrived in the public consciousness that it’s not acceptable to have antiques from Syria in the living room. A change of consciousness has taken place, like with animal furs. Now as everyone knows that furs are not chic it’s also not chic to have Syrian antiques on display in your house. It once was the sign of a cultural assiduous person, which is understandable. But today it suggests that you have become part of the chain financing war. This attention is very good. You’ve looked at the art market much longer. What do you see there? Interestingly, much less is available on the market than we thought. It is still not the case that everything is looted and the market flooded. Most of the objects found are from the ancient orient, less from the period of the Islamic Middle East, but also the Roman Hellenistic period can be found. Much of it will probably go directly to private customers. There are quite new markets in both Turkey and the Gulf states, where relatively wealthy people buy objects of cultural heritage for the home. The German Federal Criminal Police Office, with whom we are in contact, assumes that the large pieces only come to the market if no one is talking about Syria and international attention is focused somewhere else. This can still happen. 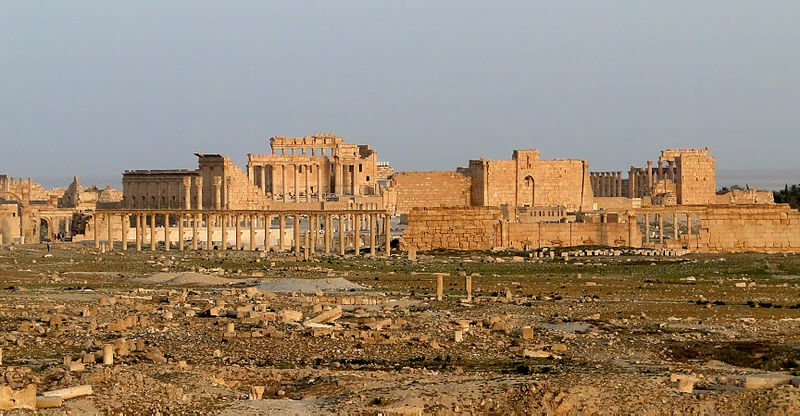 “IS” in Palmyra: A Propaganda Success? | Arts | DW.COM | 01.06.2015, DW.COM. I’m not sure I necessarily agree with his views that keeping quiet about Palmyra will discourage the IS from destroying the site. That assumes the only “audience” they care for is an international one. As we’ve seen, they have been quite happy to destroy sites of local not international importance either because as part of their campaign against idolatry, because the site is important to local people they want to terrorize or both. Unfortunately, Palmyra is also a potential target on both counts. It’s also odd to me that all the emphasis is on ISIS. The Assad regime’s own looting of places like Apamea and Palmyra and even its recent bombing of that mosaic museum get little or no attention in the archaeological blogs. Perhaps you can provide your own thoughts on why that may be. I have my own suspicions that it may have something to do with fear of either angering a regime that collaborated with foreign archaeologists in the past (and may do so in the future if it prevails) or perhaps fear of undercutting the UNESCO repatriationist mantra, but would be happy to hear other opinions why this is the case.